Movies Anywhere: Everything you need to know! Say goodbye to all of those movie-watching apps you used to need to watch digital copies of your movies! If you have an account with Vudu, Google Play, iTunes, and Amazon, each with different movies you've purchased or redeemed digital codes for over time, you know the hardships of trying to keep track of all of your content. You might have even forgotten about a movie code you redeemed years ago because you didn't remember that you had to use it with a specific service. With Movies Anywhere, you can watch most of those digital movies across all of your connected accounts. Well, at least all of the ones connected to supported services, which currently are Google Play, iTunes, Amazon, and Vudu. Here's everything you need to know about Movies Anywhere. It's the first truly anywhere digital movie library. Digital movies you've purchased or digital codes you've redeemed will be available across all of your platforms and services. Your iTunes movies can be watched on a Pixel 2. Your Vudu movies can be watched on Apple TV. Your Google Play movies can be watched on your iPhone. It's pretty rad. Movies Anywhere is currently only supported in the U.S., so not everyone gets to take advantage of this super convenient digital library service. If you do, however, live in the U.S., visit the Movies Anywhere website and sign up using Google, Facebook, or your email address. Once you're signed up, you'll be asked to link two accounts. If you're only signed up with one of the supported accounts; iTunes, Amazon, Vudu, Xfinity, Microsoft, FandangoNOW, or Google Play, you probably don't need Movies Anywhere just yet. The point is that you can watch movies from multiple services all in one place. If you're signed up with at least two of the supported accounts, give it a go! How do I add movies from iTunes, Amazon, Vudu, Xfinity, Microsoft, FandangoNOW, or Google Play? The most awesome reason to sign up for Movies Anywhere is that a lot of the digital movies you've collected over the years are finally available all in one place. Once you've signed up, you'll automatically be asked to connect your accounts. If you decide to do this later, you can add accounts manually whenever you want. Navigate to MoviesAnywhere.com from your preferred web browser. Sign in with your Movies Anywhere credentials. Click on your User profile in the upper right corner of the website. Click Connect next to the account you want to connect. Enter your account credentials to confirm permission to connect the account. That's it. Once connected, you'll find your digital movies under My Movies on the website. You'll also find them all in the same places you usually watch movies from each individual service, like Amazon, Google Play, or iTunes. Not all movies will be available through Movies Anywhere. For example, if you purchased a digital version of a Paramount release from Vudu, it won't show up in your My Movies list. Hopefully, Disney will be able to negotiate with more studios and content providers to bring together everything we watch. What about my UltraViolet movies? Can I merge those with Movies anywhere? As a matter of fact, you can. You'll need a Vudu account, and you'll need to first merge your UltraViolet movies with your Vudu account, then sync your Vudu account with Movies Anywhere. It's a multi-step process, but you only have to do it once. Then all of your supported movies will be available in the same places. When I want to purchase a digital movie, how will I know what movies are supported? Personally, I recommend going through the Movies Anywhere website. That way, you know for sure whether they'll show up across all of your services. When you find a movie you want to buy, you can click on the Buy Options button to purchase it from any of your connected accounts. What about my Disney Anywhere Movies? Yes, you can connect those too. If you've got a handful of Disney movies stored in your DMA account, do yourself a favor and link them, too. Click on Migrate DMA Account. Sign in with your Disney Movies Anywhere account credentials. Once signed in, all of your Disney Movies Anywhere titles will appear in your My Movies library, which you can watch across all of your supported devices on all of your connected services. How do I redeem a DVD or Blu-Ray code? If, after you've purchased a DVD or Blu-Ray, you want to add your movie to your digital collection, if it's supported (Vudu, iTunes, Google Play, or Amazon), you can redeem the code directly in Movies Anywhere. Click on Redeem at the top of the website. The digital version of your new movie will appear in your My Movies section on the website. You'll also find it all in the same places you usually watch movies from each individual service, like Amazon, Google Play or iTunes. They can! But, that doesn't mean their movies are separate from yours. All of the movies you own that are included in the accounts you've connected will be available to all family members. All of the movies anyone adds to the same account will appear under all profiles unless you restrict the age rating. Select an avatar for the new profile. So I can restrict which movies my kids have access to? That's right. When you set up profiles for your family members, you can limit the type of movies they can watch by age rating. You can limit them to G, PG, PG-13, R, or all. When you limit an age rating, movies that are outside of the restricted rating will disappear from the My Movies section of that profile. You can lock down a restricted account on individual devices. So, if your little one wants to watch movies on the iPad, it won't change the rating access you get on your Apple TV. While on your device and in your child's profile, Tap "Lock Profile" to keep access restricted. To unlock the profile, you'll have to log out and back in again with your admin credentials. Note: There doesn't currently seem to be a way to lock an age-restricted profile directly from the Movies Anywhere website. If your little tykes are watching movies in a web browser, make sure to keep an eye on what they're doing so they don't accidentally switch over to your profile and stumble across a movie they shouldn't be watching. Can I download movies so I can watch them when I don't have an internet connection? You sure can. Once you've selected a movie to watch, tap Save Offline to download it to your device. When you've finished watching, you can remove the download from My Saved Movies on iPhone and under My Movies on Android. How many movies can I stream on different devices at the same time? You are able to stream movies from different devices at the same time. So you and your entire family can watch whatever you want without having to fight over who's turn it is to pick the movie. You can watch different movies across up to four different devices at the same time. You can only watch the same movie on two different devices at the same time. Watching movies in 4K is fairly straightforward, but might be a little confusing. Here are the basics. You can watch your 4K movie in 4K through any of the connected services that support 4K, like iTunes. Of course, your hardware has to support 4K, too (no iPhones). Even if you're watching a 4K movie on your 4K Apple TV or Roku box, if you're watching it via the Movies Anywhere app or any service that doesn't support 4K, it'll only show up in 1080p. You might as well switch over to the digital retail service that supports 4K. What devices can I use Movies Anywhere on? So many. You can watch movies from your various accounts in the same way you've always watch them, like on your computer or mobile device. You can also watch them from a variety of set-top boxes and Amazon devices (like Kindle tablets, and yes, even the Echo Show). iOS: The Movies Anywhere app is currently available on iPhone, iPad and iPod Touch devices running iOS 9 or higher. Offline viewing (downloading of movies) is only supported on iOS 10 and higher. Apple TV/AirPlay: The Movies Anywhere Apple TV app is now available ­on Apple TVs 4th generation or later. Movies Anywhere movie playback is also available on older generations of the Apple TV when using AirPlay Mirroring from a compatible computer or iOS device on the same Wi-Fi network. Android: The Movies Anywhere app is supported on Android devices running on KitKat or newer versions of the Android OS. 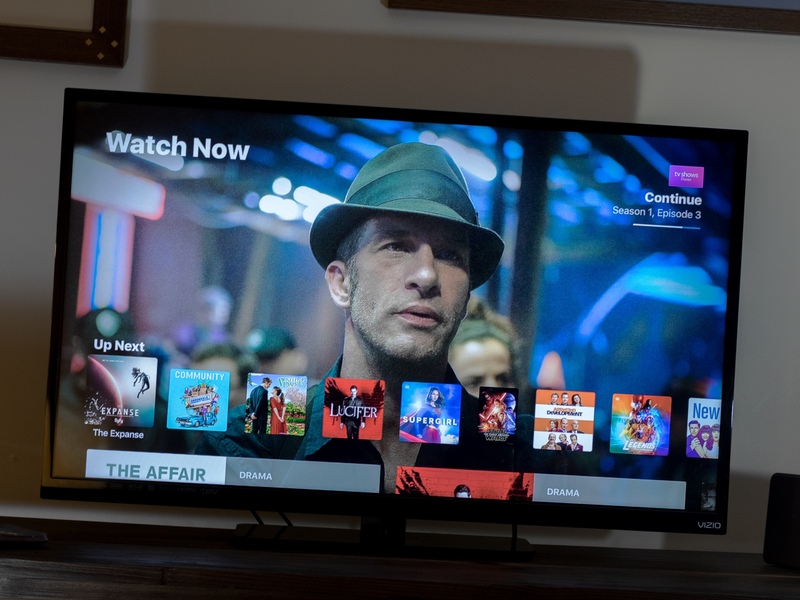 The Movies Anywhere app is also supported on the Android TV and connected TVs running on the Android TV Operating system. iTunes, Amazon, Vudu, Xfinity, Microsoft, FandangoNOW, or Google Play: All Movies Anywhere-eligible movies will also appear in your connected iTunes, Amazon, Vudu, Xfinity, Microsoft, FandangoNOW, and Google Play accounts, subject to availability with each Digital Retailer, and can be played directly on any platforms that support video playback for these providers. Do you have a question about Movies Anywhere that we haven't covered? Put them in the comments and we'll help you out.